LOUISVILLE, Ky., Jan. 21, 2015 /PRNewswire/ — Woodford Reserve today announces the release of its latest permanent product extension, Woodford Reserve Kentucky Straight Rye Whiskey, which will be available for purchase in select markets throughout the country beginning in February. The latest release showcases the company’s ongoing commitment to both whiskey lovers and innovation within the industry. Woodford Reserve Rye is the third permanent line extension to join the portfolio, which includes the original Woodford Reserve Distiller’s Select and Woodford Reserve Double Oaked. When it comes to the craft of bourbon and whiskey, Woodford Reserve prides itself on maintaining an original and contemporary approach that focuses primarily on the adjustment of one of the five sources of flavor. To complement and emphasize the spice characteristics found in the original Woodford Reserve, the Rye uses a base that’s 53 percent rye, resulting in a liquid that’s both more balanced, and refreshingly subtle. Woodford Reserve Rye is produced with the same heritage and tradition that surrounds the site of the iconic Woodford Reserve Distillery in Versailles, Kentucky. As early as the mid-1800s, the site has been the location for visionary distilling practices, an attitude that Oscar Pepper and Master Distiller James Crow, the first people to distill at this location, fully embraced. Together, they perfected several whiskey production processes that continue to be used throughout the industry and have since become synonymous with great whiskey. Today, the Woodford Reserve Distillery is visited by more than 130,000 visitors each year. 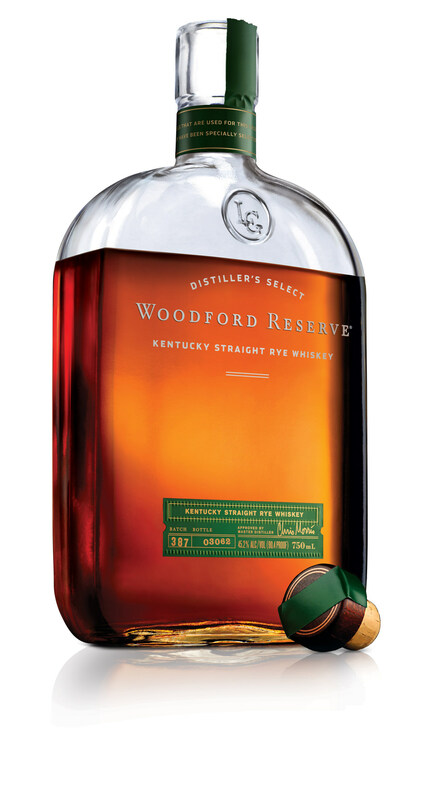 Woodford Reserve Rye will be available in February 2015, with an MSRP of $37.99 for a 750ml and in select markets, including:California, Colorado, District of Columbia, Georgia, Illinois, Kentucky, Louisiana, Massachusetts, New York (Metro and Upstate), New Jersey, Oregon, Pennsylvania, Texas, Virginia and Washington. Aroma: Spicy with distinct notes of rye, black pepper, cedar and cassia bark sweetened with a dusting of marzipan. Hints of pear, apple and almond dance in its depths. Flavor: Clove, rye, mint and honey mingle together with hints of apple and malt. Woodford Reserve is a product of the Brown-Forman Corporation, a producer and marketer of fine quality beverage alcohol brands such as Jack Daniel’s, Southern Comfort, Finlandia, Korbel, Tequila Herradura, Sonoma-Cutrer, Chambord, and Tuaca. Please enjoy your bourbon responsibly. For more information on Woodford Reserve, visit www.woodfordreserve.com or visit Facebook atwww.facebook.com/woodfordreserve.